Fruit and Vegetable Salads are a healthy addition to our diet and are highly recommended for weight loss. Nowadays, people often run out of time to prepare healthy food. For such people, salads are good nutritious alternatives, as they take hardly any time to make and are immensely healthy. Salad construction is considered a skill requiring extra effort in choosing the right ingredients that benefit your health. Adding salads containing green leafy vegetables to your diet plan provides high fibre, lots of healthy micronutrients and low calories which help you feel satiated and thereby lose weight. When preparing salads it is recommended to choose nutrient-rich dense dark greens and sprouts which are very low in calories, high in micronutrients, vitamin C and K which in turn helps in weight loss. Proteins and fibre are associated with satiety – addition of shredded grilled chicken, legumes, carrots, tomatoes will boost the required fibre content for the body and also increase protein intake. Addition of healthy sprouts like sprouted beans, green gram, and lentils, etc – Sprouts are rich in proteins and aid weight loss. Use lime juice, finely chopped coriander, ginger, pepper or vinegar to add taste. Add crunchy vegetables like carrots, cabbage, cucumber, radish, onions, tomatoes and peanuts. Adding low fat yogurt provides proteins and an alternative to animal protein. Load up all the essential antioxidants, vitamins, minerals by including broccoli in the salad. Salads can be eaten before main meals which help decreasing portion sizes of other foods, thereby preventing overeating. Combining salads with regular exercise to burn calories is best to get you started with great weight loss results. It is important to understand that eating salads does not give you a free pass to indulge in high calorie foods. 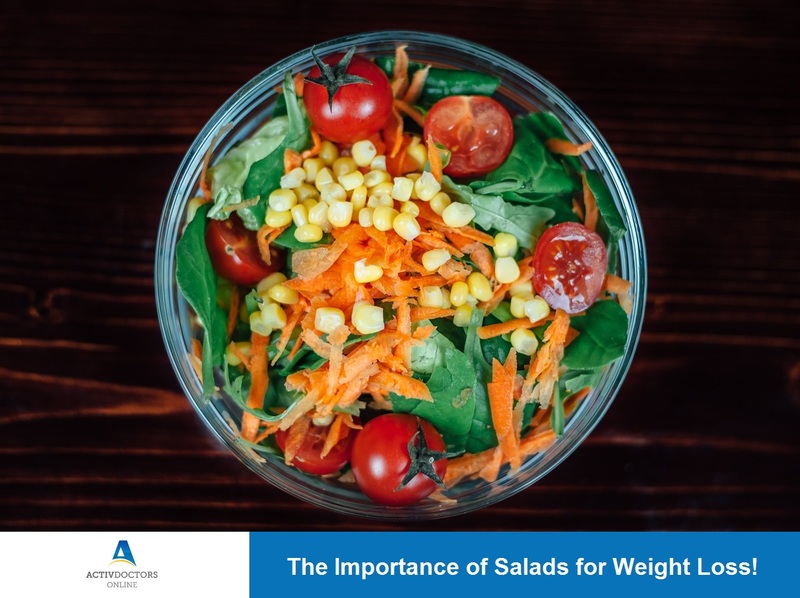 Salads certainly aid in weight loss when done right, but a healthy balanced diet and regular exercise is equally vital. Needed to create you one very little word to finally give many thanks as before for the extraordinary opinions you’ve discussed on this site. This has been really unbelievably open-handed with people like you to grant openly all a lot of people might have marketed as an electronic book to help make some profit on their own, mostly since you might well have tried it if you wanted. Those points likewise acted like a good way to realize that most people have the identical eagerness similar to my own to figure out whole lot more with regard to this issue. I am sure there are some more pleasurable occasions in the future for individuals that find out your blog post.